Welcome to the Rad-One web site. It is a privately owned independent radiology clinic located in the exclusive marina of Sotogrande. It is equipped with the latest high resolution CT scanner and Open MRI offering superb image quality. This ensures that patients receive an accurate diagnosis, prompt medical care and the correct treatment. 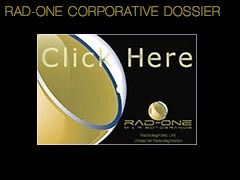 RAD-ONE has incorporated the latest technology providing high resolution studies equivalent to or better than most hospital based radiology departments. Our unit also offers health professional’s the possibility of accessing studies remotely via a secure internet connection (VPN).